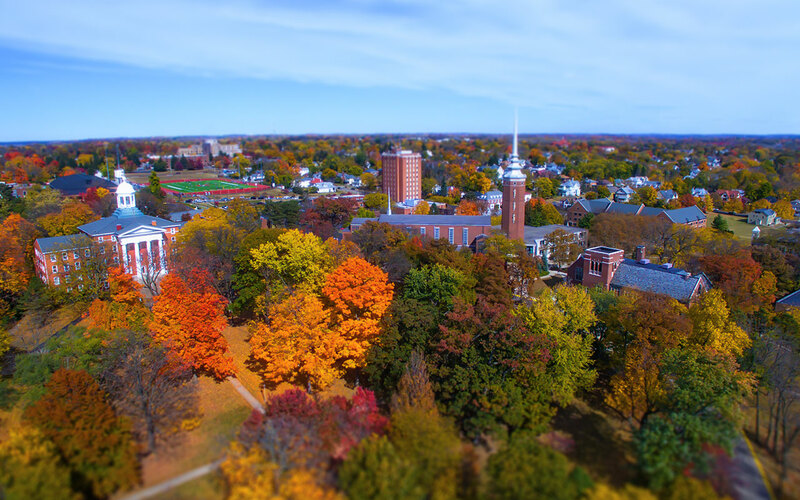 The City of Springfield Forestry Division is responsible for the planting and maintenance of all city trees in street right-of-ways and boulevards, as well as several landscaped areas throughout the City. The Forestry Division is also responsible for mowing numerous public right-of-ways and overseeing the mowing of city boulevards. Bagged leaf pickup for City of Springfield residents will be late November or early December. Bags need to be at the curb by 6:00 AM on the mornings of the scheduled pickup. Bags are to be furnished by the citizens and may be plastic or paper. Prepaid bags are not required and yard waste will not be collected. The Service Department would like to remind residents that leaves should not be raked into the street or gutter. Any questions regarding the fall bagged leaf pickup should be directed to the Service Center at (937) 525-5800. The center will take most yard waste such as tree limbs, old leaves, dead dried flowers, vines, etc., but will not accept grass clippings. Anyone doing tree work within Springfield’s corporate boundary must be licensed or employed by a licensed tree company. The City Forestry Division handles tree worker licensing. For an application and testing call (937) 525-5800 or visit the City Service Center at 2100 Lagonda Avenue. To obtain a tree worker license, you must have proof of insurance in the amount of at least $200,000, obtain a bond for at least $2,000, pass a written examination administered by the City Forestry Division, and Tree Workers must pay a $50 license fee, which is good for 2 years from the date of issue. Study materials for the test may be obtained at the Service Center during the hours of 7:00 AM to 4:00 PM. Private trees are the responsibility of the property owner. Any private contractor doing tree work should be a licensed tree worker with the City of Springfield. A listing of licensed tree workers is available at the Service Center located at 2100 Lagonda Avenue or by phone at (937) 525-5800. You can also locate an International Society of Arboriculture (ISA) certified arborist by visiting ISA’s website. You can search by name, city, or postal code. 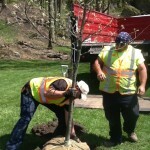 The Arbor Day Foundation is a great resource for tree planting and care. Click here for information about planting and pruning trees, as well as other helpful resources. 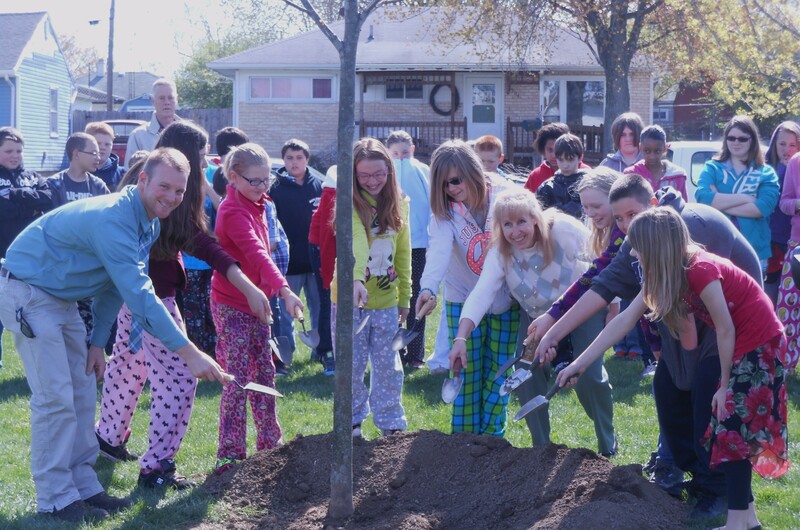 A Memorial Tree Fund is available to those who wish to plant a tree in the right-of-way in honor/memory of someone or to add to the beautification of their neighborhood. Call the Service Center at (937) 525-5800 for more information. The City of Springfield holds an annual Arbor Day observance the last Friday in April each year. For several years we have held the ceremony at one of Springfield’s schools. We feel that this is a great opportunity to expose our students to the importance and stewardship of trees. The City of Springfield is a charter member of the Tree City USA organization. Information regarding Tree City USA can be found at the website: www.arborday.org.